I wrote a whole darn post and it is GONE! This is starting to happen to people way to often…c’mon wordpress! 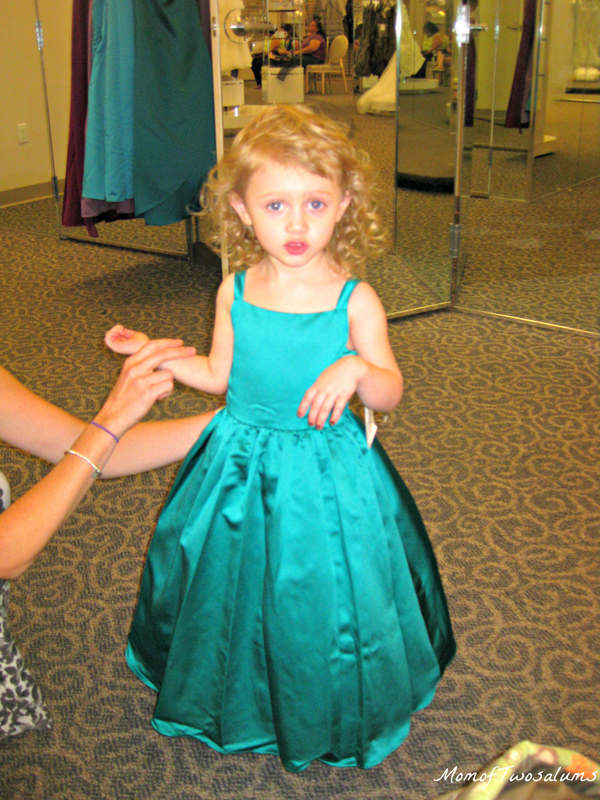 Yesterday myself and my friend Masha took L (and J) to get fitted for a flower girl dress. Masha is getting married in Sept so we had to go this weekend to ensure that the dresses would come on time. L is going to be 3 at the time of the wedding and the other flower girl K will be 2. They are both the same height but L is a little more petite. L has blond hair, blue eyes and whiter than white skin and K is the opposite with black hair, brown eyes and gorgeous brown skin. They are going to be the center of attention walking down the aisle. The dresses are going to be two shades of purple. L will wear the darker purple with a lighter sash and K will wear the opposite. We had to try it on to ensure it fit so we tried the 2T first and it was still a little big, I told you she was petite. L then made sure the “lady” knew this by telling her it was too big and she needed a different size. 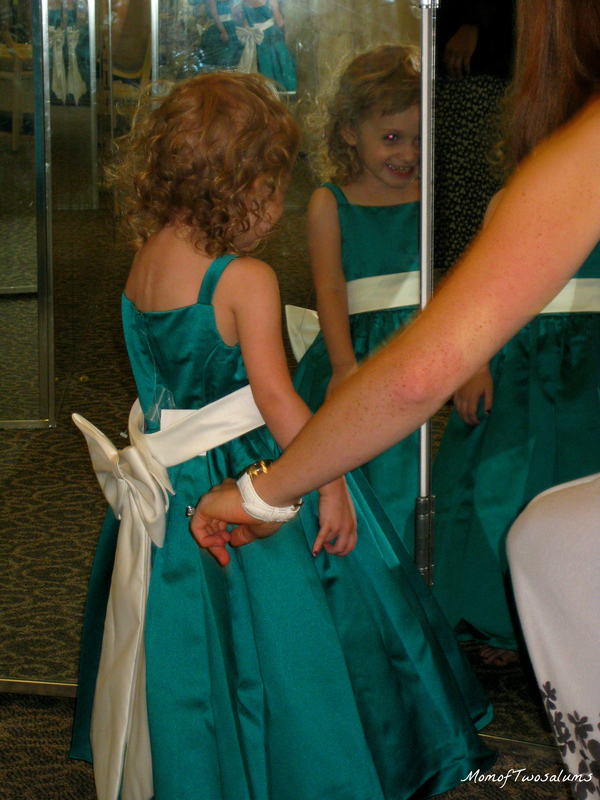 Once clipped in the back we added the sash and got a better look at it…she was beautiful. 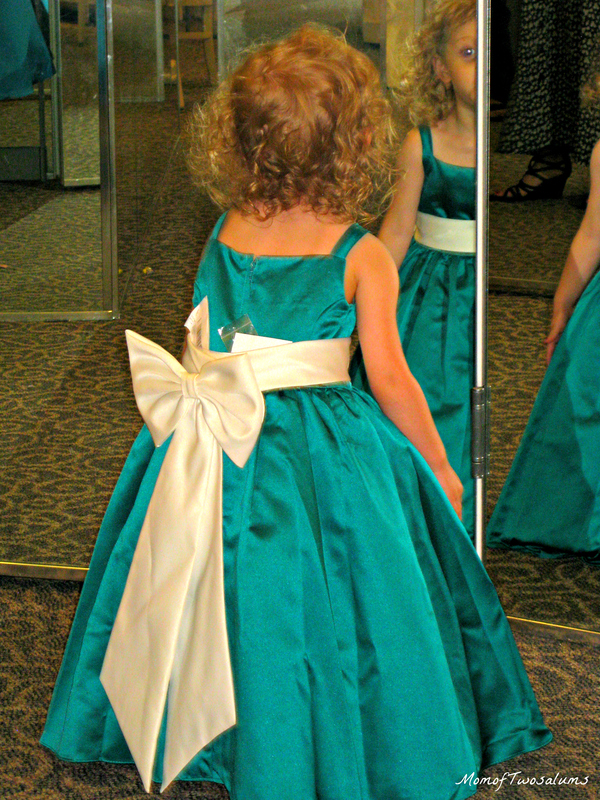 She looked like such a little lady all dressed up, staring at herself in the mirror. 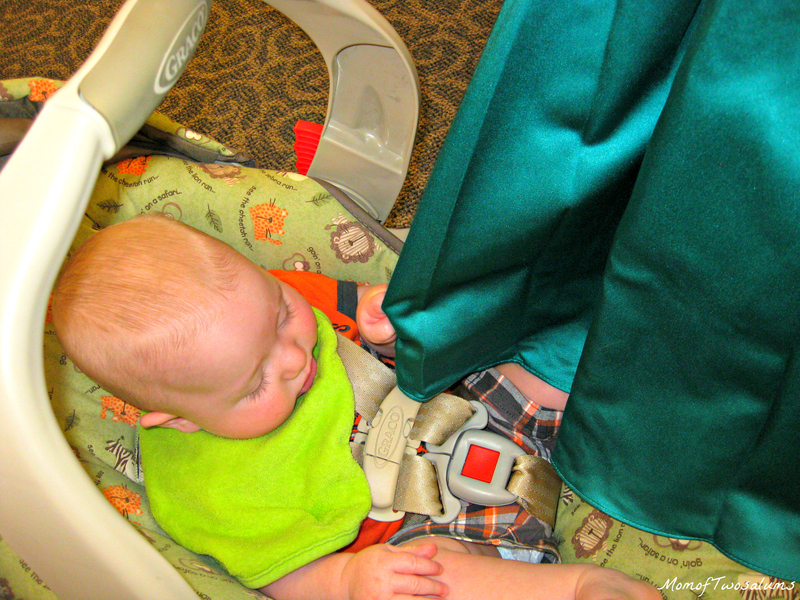 The color of the dress she tried on was emerald and was stunning, so now the hunt is on to find something in that color! 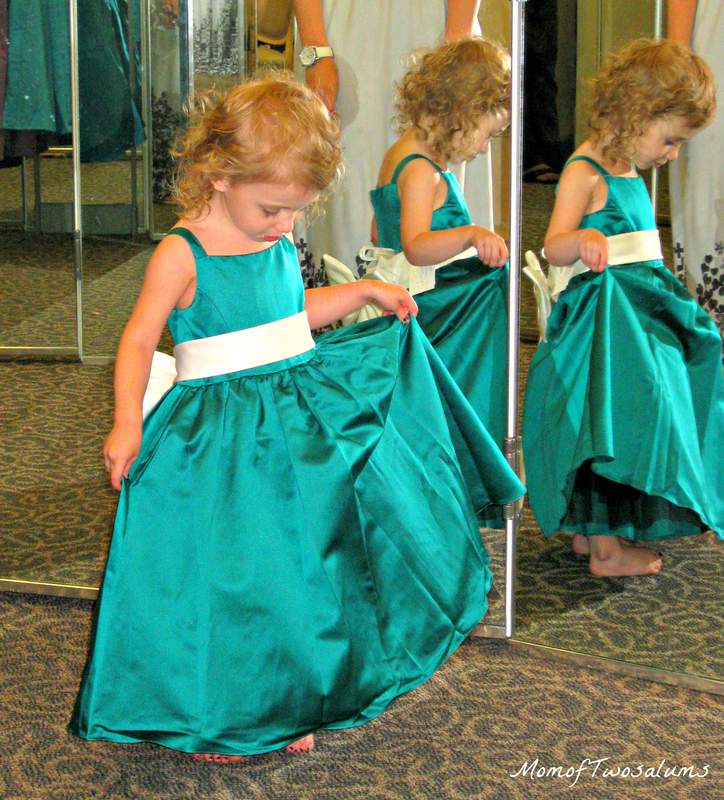 Here are some shots of the princess trying on her dress. All in all it was a great day. 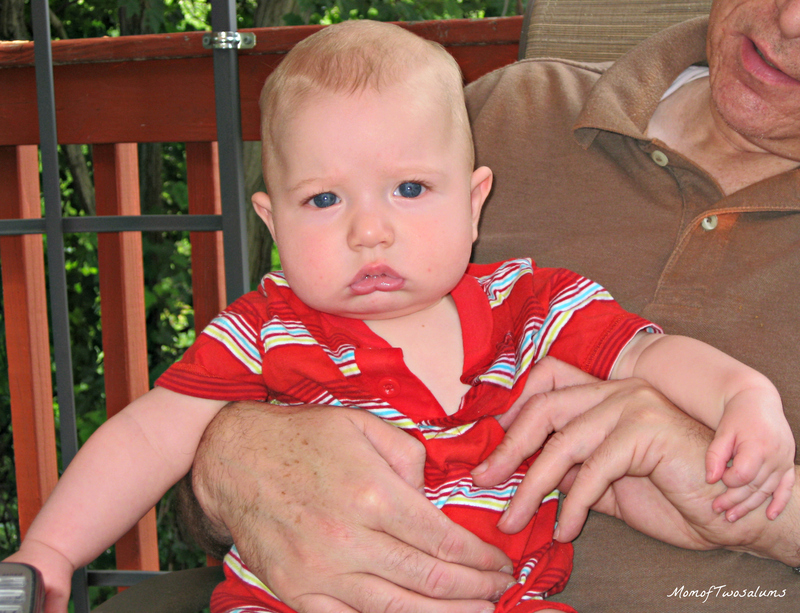 My babies are growing up so fast – Thank goodness for digital camera’s so I can take 1000 pictures without batting an eye! Today will be a day that I look back on for years to come. 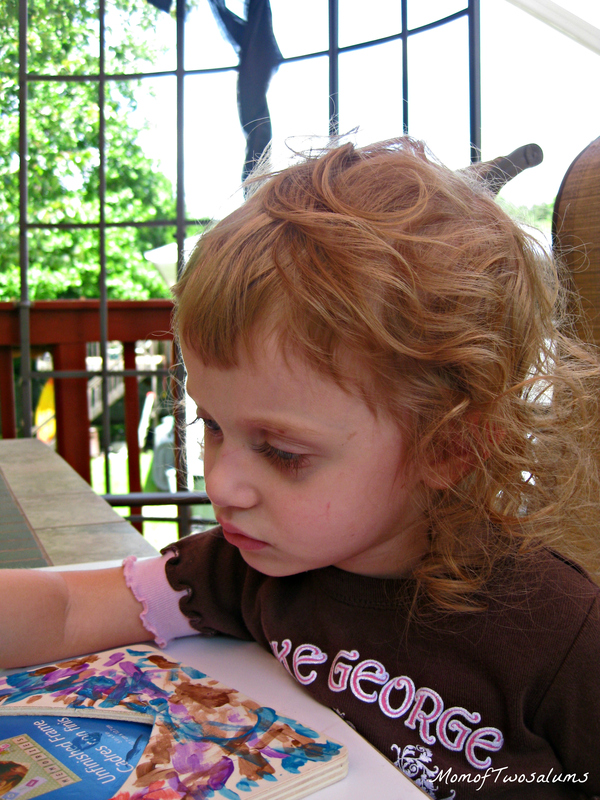 One of the best days I have had with L. Today it was made clear just how grown up she is becoming. I put J down for a nap and couldn’t ignore how absolutely perfect the weather outside was. 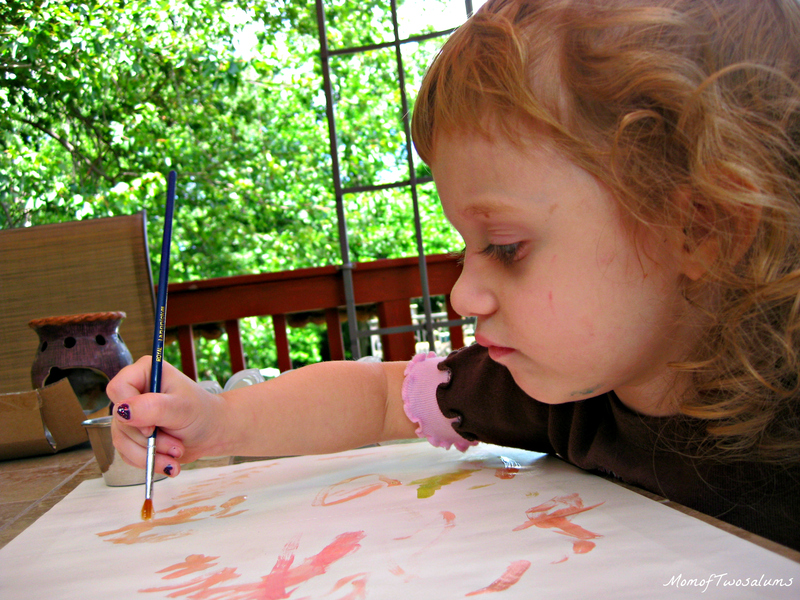 I got us both an ice cold drink, cleaned the table on the deck and brought out some art supplies. I got her all comfy in a chair and we sat outside, just me, L and the puppies for over two hours. We talked and laughed and shared a hug or two along the way. I took the time to start my coasters for the June Challenge I am having. (There is still time to join, the linky doesn’t close until the last day of June.) 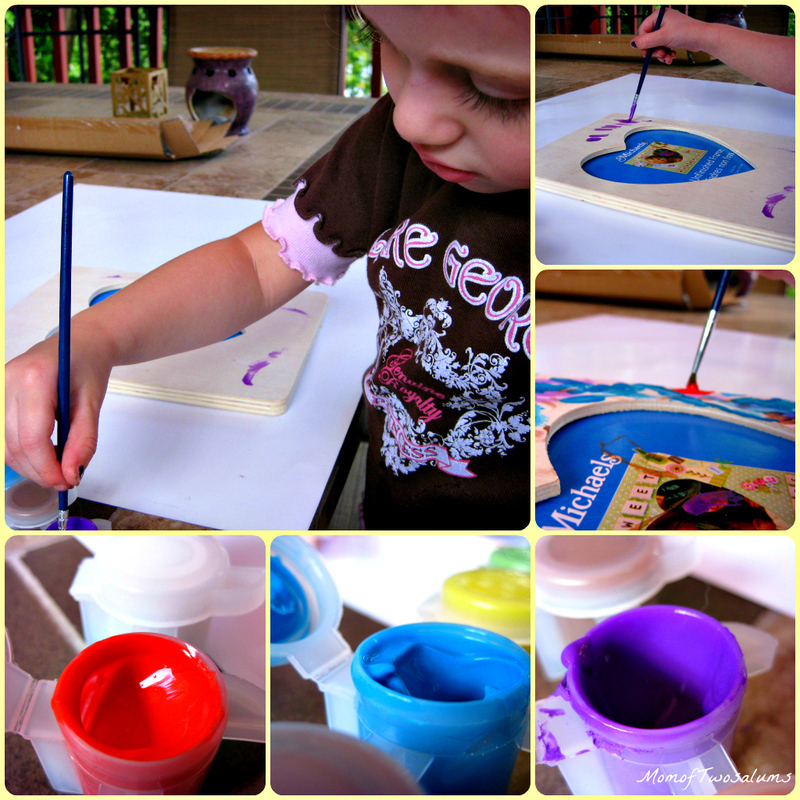 I got L setup with her color wonder paints and an endless supply of paper. 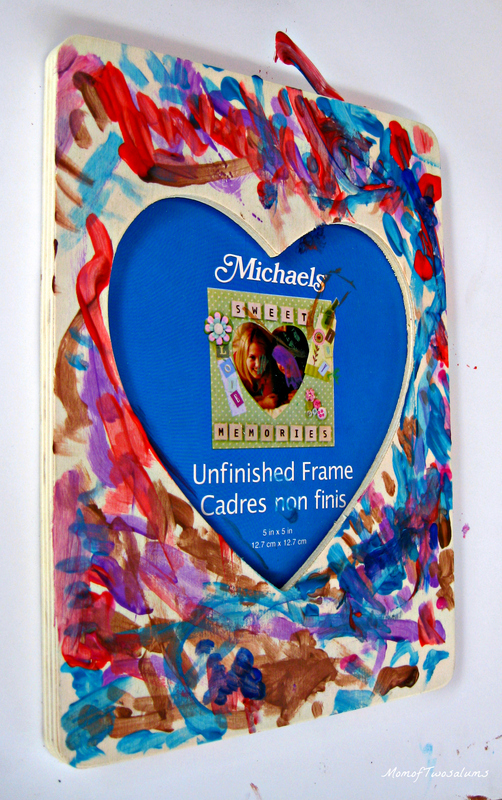 Once she was done with that I brought out a frame that I bought at Michael’s for $1.00 and let her paint until her heart was content. 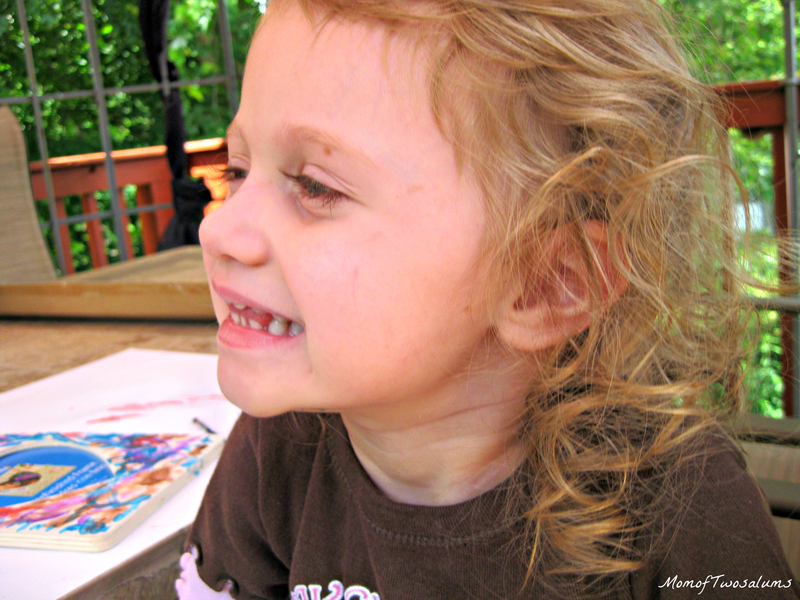 At one point she turned to me and said “Isn’t it just wonderful being outdoors.” Isn’t she just the cutest! 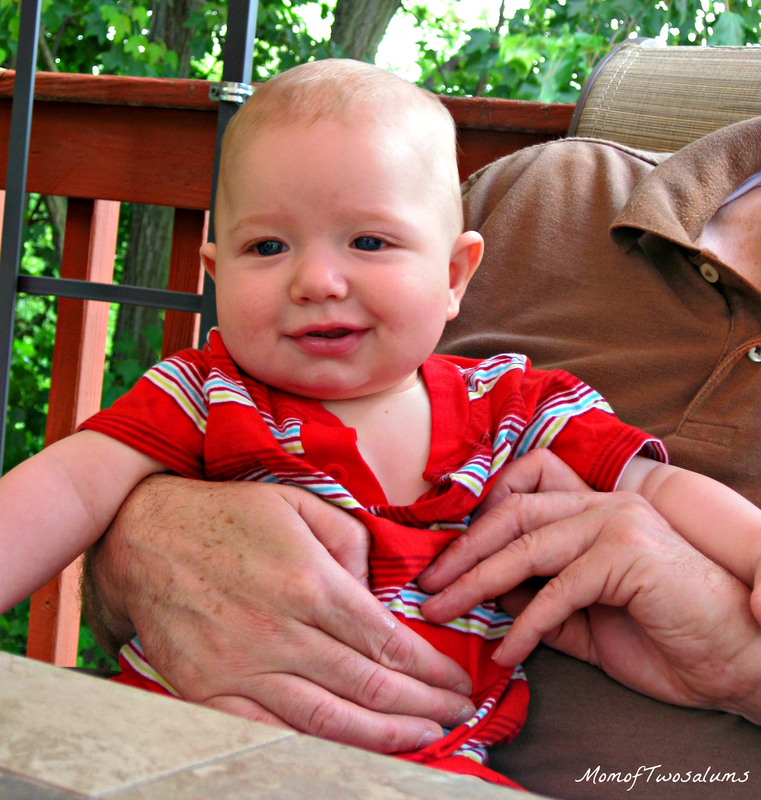 Around the time that we were finishing up Nana and Papa joined us on the deck. J was still rolling around in his crib so I changed him into a cooler outfit and brought him out to join us. A little while later we retreated back into the air conditioned house and both kids went down for a nap. 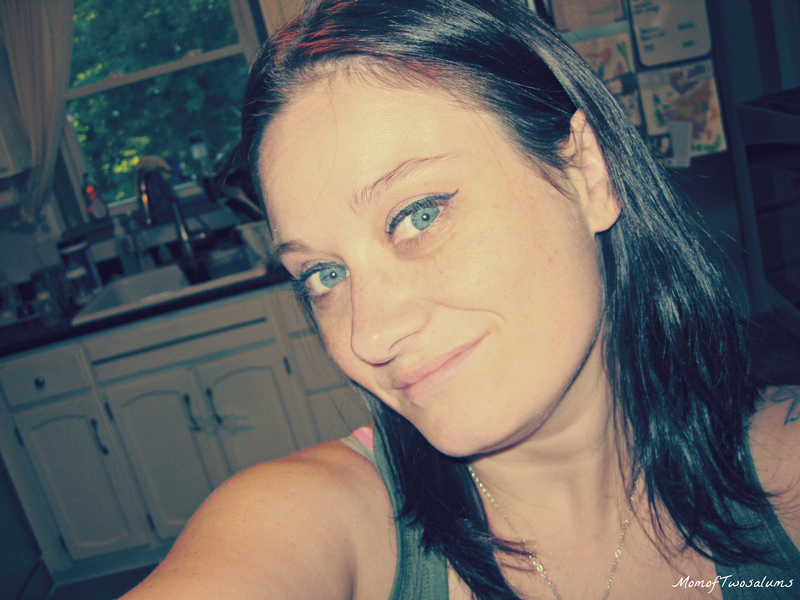 I took that opportunity to get myself ready for a dinner that was planned in honor of my great friend LorriAnn. She is getting ready to embark on a new journey in life and her friends couldn’t be more proud. I do have pictures but still have to edit them so I will just make that a new post. My Aunt let me borrow her sewing machine so I look forward to making all new things, the biggest being a dress for Masha’s wedding. Please take a minute to check out the June Challenge and join in. I am hoping that it will take off and get more followers every month. I am also considering doing a prize but want it to get a decent following first. This way the same person won’t win every time haha. 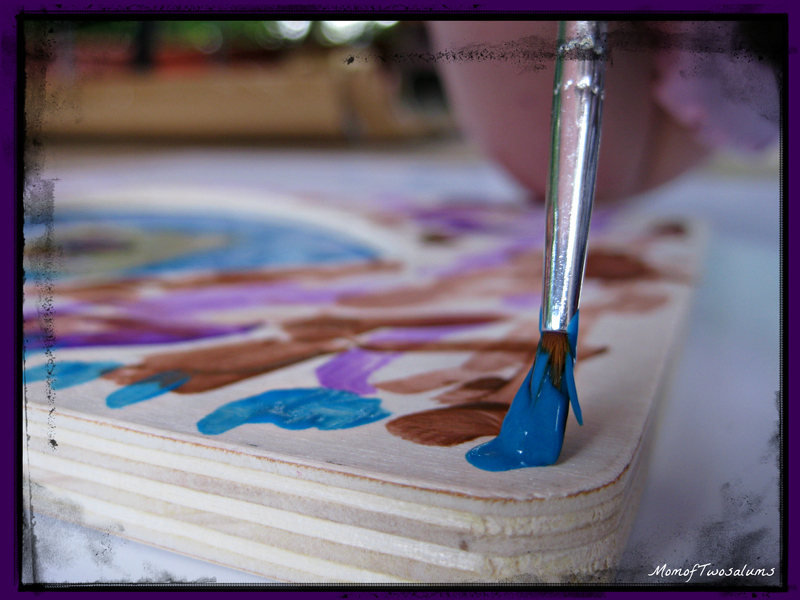 I will be uploading my coasters within the next few days and will also make a post featuring all the entries thus far. If you have any questions please ask! Okay I think it’s time for me to get to bed… 2am and I was in bed two hours ago. I just couldn’t let the mac sit at the bottom of my bed without finishing this post. Your children are adorable, L looks so cute in her dress! The posts are driving me crazy. Has been happening to my best friend too! I know. It’s so frustrating! She is absolutely beautiful. 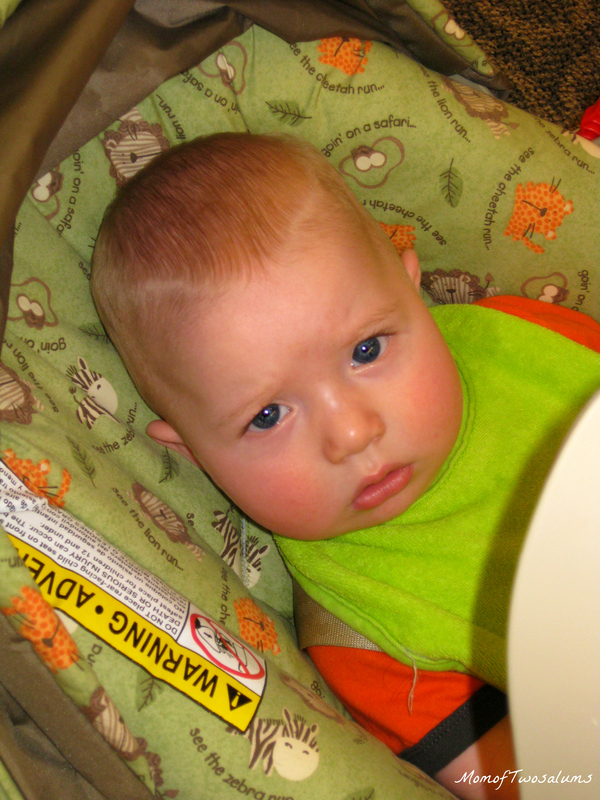 Little brother doesn’t look too happy to be dress shopping. Hugs and Kisses from us. What a glorious day you described. And what cuties those kids are!!! Love Lana’s dress. she looks like an angel. And Jack is sooooo big. Gotta love life through the eyes of a child!! It’s was such a special day. I hope we get an excuse for her to wear the dress again.